The Society publishes a monthly newsletter, “Retrospect” and a periodic Journal, both of which are free to members. The Society has also published booklets on matters of local interest and these, as well as copies of the Journals, are available to purchase. Please contact the Secretary, Elizabeth Friend, via email for further information. The Struggle to Establish the Church of England School in 19th Century Axbridge – Jane Panter. Flint Crevice Excavation and Adjacent Surface Assemblages. Fry’s Hill, Axbridge – A. Everton. 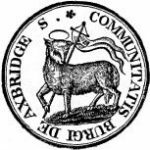 Publications of the AXBRIDGE CAVING GROUP & ARCHAEOLOGICAL SOCIETY. Journals prior to this are housed in the library in the OCR in Axbridge Town Hall.